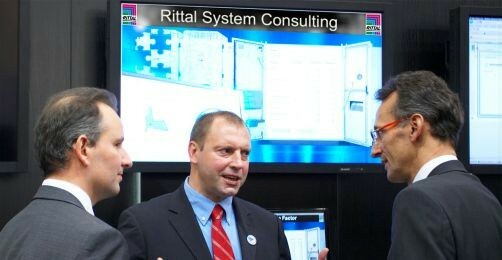 Savings of up to 20 percent are not uncommon when industry clients receive advice from Rittal System Consulting. After conducting an initial quick-check with you, the experts from the Rittal System Consulting team identify efficiency potential throughout the entire process chain. More in-depth analysis then occurs in the form of a comprehensive system check, aided by numerous planning and software tools. We offer concrete suggestions on how to make savings. In this way, Rittal System Consulting helps you to maximise the benefits of our comprehensive modular system ''Rittal – The System.'' Savings of up to 20 percent are quickly achieved – a hugely successful outcome for any subsequent project.